Sites and Properties – Nevada County Economic Resource Council, Inc.
You are a company that has decided to plant roots in Nevada County or you are an expanding enterprise. You are in search for a new site and focused on the main considerations that every business looks for – location, micro-climate, construction services, accessibility to raw material , cost, time-frame and population. We want to help you every step of the way and connect you to the resources and answers you are looking for. Nevada County currently has two new residential properties in the pipeline. For more up-to-date information about each project, you can contact the developer directly. 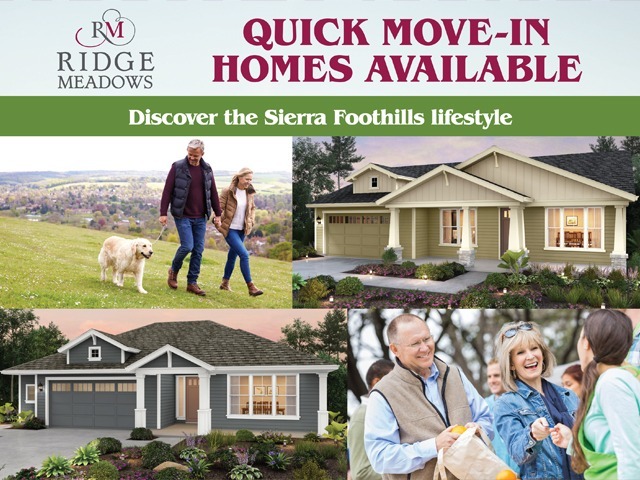 Located on Ridge Road in Grass Valley, Ridge Meadows is a single-family new home community offering 37 homesites with homes ranging in size from 1,730 to 2,118 square feet. Ridge Meadows will not have a homeowners association. Visit our off-site Sales Office in downtown Grass Valley to learn about Ridge Meadows. Or tour our on-site open houses on Saturdays and Sundays from 11am-3pm. The project expects to be breaking ground in the Spring of 2018. Contact their office directly for updates.